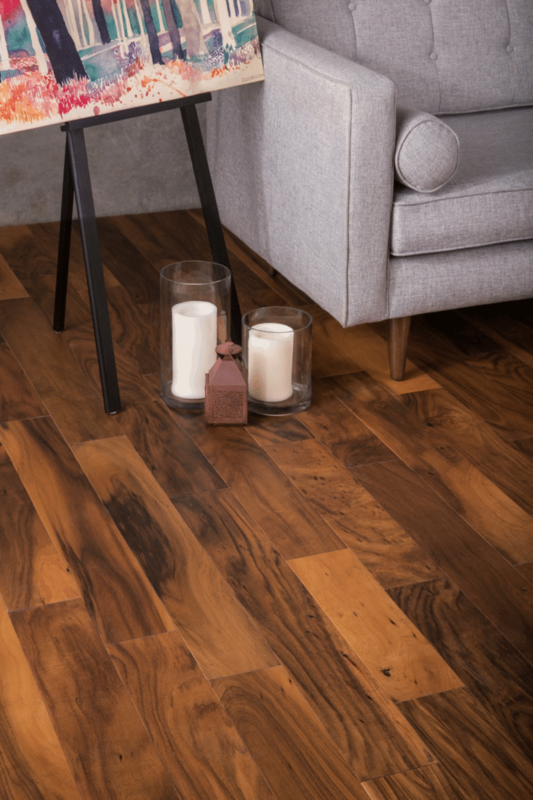 In a long list of items that add value to a home, one of the tried and true housing updates to increase your home’s value is new wood flooring. According to Realtor.com, 54% of homebuyers will pay more for a home if it comes with wood flooring. However, not everyone knows or understands the best way to shop for flooring, and they many not even know the key terms to look for and ask about. We’ve teamed up with our friends at GoHaus to cover the basics of How to Shop Flooring Like a Pro. You’re going to get asked a lot of questions when working with a flooring specialist. To make the process run as smoothly as possible, answer these questions for yourself before starting to work with a flooring specialist. What flooring to do you want? Aside from the variety of wood species available as flooring, there is the choice of between a solid wood floor and an engineered wood floor. There are pros and cons to both; on the one hand solid wood can be refinished several times, while an engineered floor typically can’t; on the other hand, engineered wood tends to be a more stable solution when changes in humidity occur. 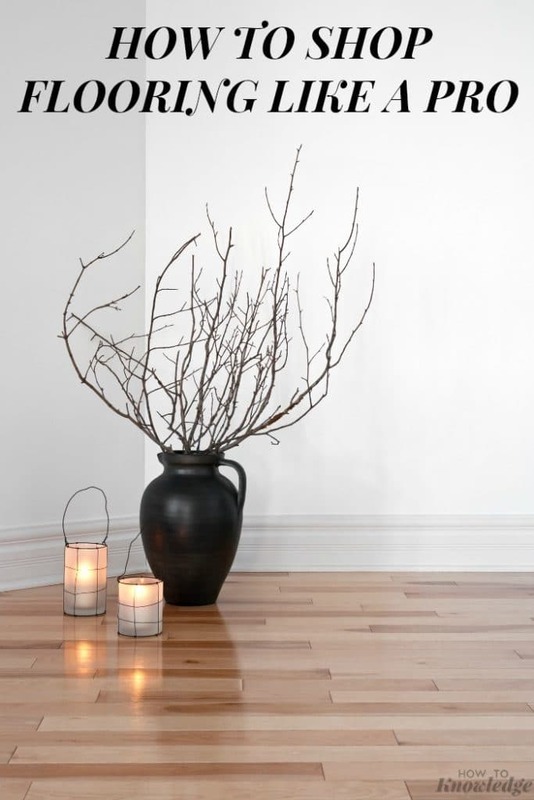 To read more about engineered hardwood vs. solid hardwood click here. Which room do you need flooring for? The answer to this question will indicate material that is recommended. If you want to install flooring in your basement, solid wood is not the answer. Will you hire a professional installer? This is an important question to answer because, once again, it can determine which floor material is recommended. Nailing down a solid wood floor is an intricate process that requires an experienced professional. 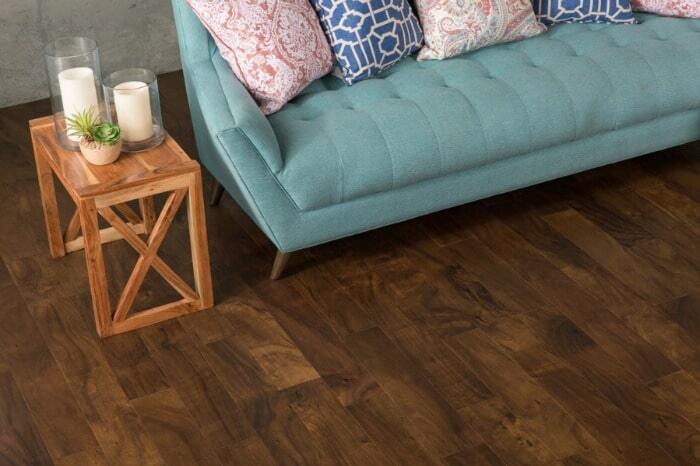 Some wood flooring is designated as a “floating floor,” which is easier for less experienced people to install. Speaking of professional installation – always carefully read the warranty to know what it does and does not cover. In the case of self-installation, some manufacturers may not cover that. Do you know your true cost? Typically, this question comes in the form of “what is your budget?” However, the average consumer may only be thinking about the cost of the flooring itself. There are other factors you have to consider that impacts your price per square foot. Factors such as installation materials (nails, glue, underlayment), installation cost, and shipping costs. Add all of these factors up and divide by your square footage and you’ve now successfully identified your true cost per square foot. Janka Hardness rating – a rating that indicates the durability of wood species. The higher the rating, the more durable it is considered. CARB Compliant – ensures that composite wood products strictly adhere to the formaldehyde emissions limits and indoor air quality standards set by the California Air Resources Board. Lacey Act Compliant – Ensures that illegitimate wood products do not enter the Unites States. Meaning, that a wood floor was not illegally sourced. Now that you have the basics of shopping for flooring like a pro, it’s time to get to work! Happy shopping!